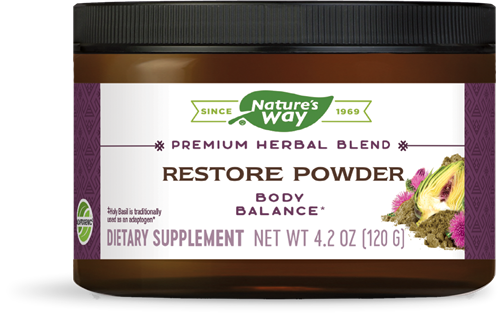 Restore Powder - Nature's Way®. Take 1 teaspoon (tsp.) (3 g) once daily, or as recommended by a healthcare professional. Do not use if you have bile duct obstruction or are allergic to plants of the Asteraceae (Compositae) family, including ragweed. If pregnant, nursing, have gallstones, or are taking any medications, consult a healthcare professional before use.